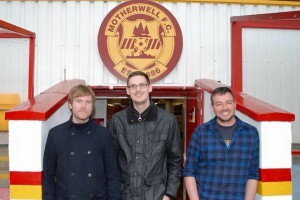 In November 2014 three ‘Well fans reacted to the departure of manager Stuart McCall by deciding to launch a new fan podcast. The years that have followed have seen the podcast build up a loyal listening base, attracting both club staff and former players on to the show as well as receiving national media exposure from the broadcast & written press. The MFC Podcast is available every Monday from 10pm. There are also some special episodes that will be recorded and published between times. Don’t miss out on any podcast Click here to SUBSCRIBE. You can subscribe using a range of apps such as iTunes, Android or RSS. We are always looking for input for each podcast. We look for new guests both Special Guest and Fan Guests. We would also appreciate anyone with any written work for our blog section. If you have anything you could add please Get Involved. If you would like to help us cover some of the cost we incur to bring you a weekly podcast, we would very much appreciate a Donation. If we met you in a bar I’m sure you’d buy us a pint? All money that we receive will be used to improve the podcast and any left over money will be used to support Motherwell Football Club in which ever way we can. We gain a little amount of revenue from advertisements on this website. These ads are vetted to ensure they are secure and reliable. We would greatly appreciate you clicking on any ads that catch your attention. 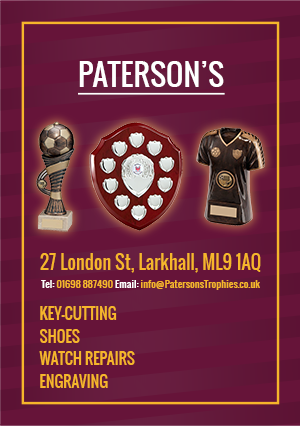 We also have advertisement spaces available to any local business or organisation that wishes to advertise to thousands of Motherwell FC supporters weekly. For further information please contact us. The MFC Podcast team are Jason Henderson (@LibertineJay), Andy Ross (@AJR2022) & James Wharrie (@BustaNut91). Website and graphic are all work of Davie Young (VS Media).